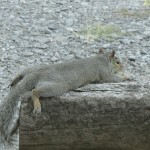 There is not much more that tranquility could express beyond the moment of capturing a squirrel when it takes a rest. The word squirrel originates from the Greek language meaning “one who walks under it’s own shadow. The metaphors could be literally fun in this case but are probably best captured by the expression on your face. Look at the squirrel, now look in a mirror. Which reality is clearer? 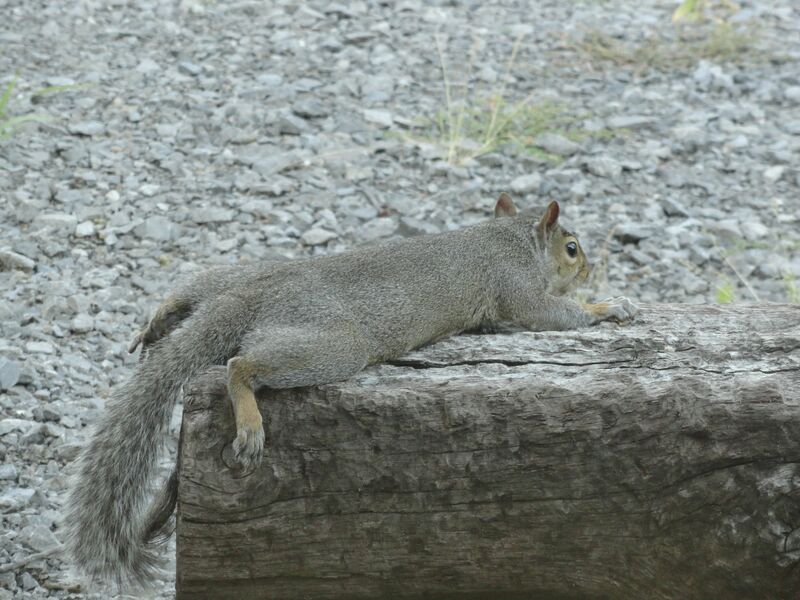 If a squirrel can find time to relax and rest, perhaps even you might have time to take a rest. Shadows fade as the day grows old. Don’t pass the chance for your relaxation to unfold. Ask yourself, if a shadowy tail can find tranquility, perhaps this place will provide it for me too? This entry was posted in Lake Tenkiller, Lake Tenkiller Lodging, Oklahoma Bed & Breakfast, Summer and tagged Bed & Breakfast, Lake Tenkiller, Lake Tenkiller lodging, relaxation, summer fun by Genny. Bookmark the permalink.